“You have breast cancer.” Those few words changed Nancy Rueben Greenfield’s life forever. An ache in Nancy’s breast sent her to the doctor, where a mammogram delivered the devastating diagnosis: breast cancer. There was no lump, no tumor as with most cases of breast cancer. Instead, the cancer dotted all of Nancy’s breast tissue. 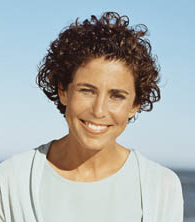 With no removable lump, Nancy’s only option was a double radical mastectomy. As result of the difficulties she had faced raising young children and coping with such a serious disease, Nancy developed When Mommy Had a Mastectomy to help other women with young children also facing breast cancer. Specifically, she wanted to address how life at home can change when a mother has a mastectomy resulting in limited energy and mobility while she recovers. 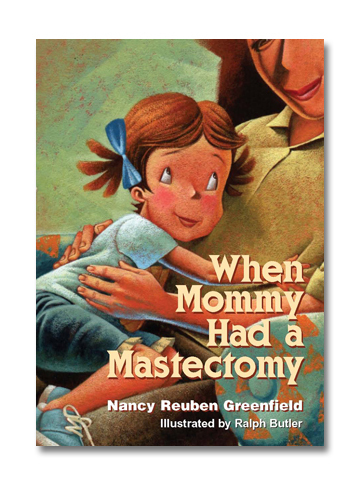 When Mommy Had a Mastectomy is a children’s book that explains, in a simple and clear manner, why Mommy is sick. It tells the story of a mother and daughter discovering new ways to show they care despite a painful illness. Pairing enchanting illustrations and an engaging story, When Mommy Had a Mastectomy is sure to be a treasured book that will help children and their parents through a difficult time and will provide a fond memory for families to reflect on and share after tragedy. Order now through our online, secure server for $14.95. Please add $3.00 shipping and handling for the first book, $0.50 for each additional book (Maryland residents add 5% sales tax). For bulk orders, please call us at 800-953-9929.